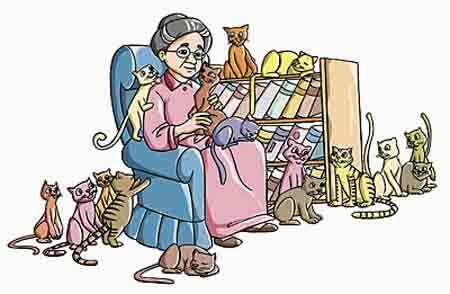 A very strong affection for cats: Abigail's grandmother had such an aelurophily for cats that she usually had a dozen or more of them living with her. Plants or animals that flourish in high altitudes that are very damp. Vegetation or animal life which luxuriate in exceedingly lofty areas. Referring to an accumulation of stamps which are used for sending mail by aircraft. Those who amass or collect postage stamps used for faster delivery via airplanes. Pertaining to being readily united as if by glue: Agglutinophilic processes involve suspended bacteria, cells, or other particles forming into clumps; usually, as a result of some antibody which is developed by white blood cells to neutralize an antigen or foreign protein in the body. The agglutinophilic antibodies that are formed are intended to help the body to counteract or to destroy the invading microorganisms which can be dangerous to one's health. Anything that thrives in farm lands. 1. A reference to living in agricultural soils. 2. Relating to a natural existence in grain fields. A state, a condition, or a process of living and thriving where crops are grown. Showing page 3 out of 79 pages of 1185 main-word entries or main-word-entry groups.